Acne is an issue that is not confined to teenagers, and for everyone who suffers the blemishes, take notice of a new breakthrough. Researchers have found that acne bacteria contain different strains, some that lead to pimples and some that actually protect the skin, if you can believe it. That one strain of bacteria that keeps skin healthy will likely be the subject of many studies to come. We may be able to prevent acne and customize treatment to each person’s specific strains of bacteria. Propionibacterium acne is a microbe that loves living in our oily pores. It causes acne when it bothers the immune system, which attacks and overreacts (as is the case with autoimmune diseases). Researchers extracted these bacteria from about 100 volunteers, half of whom had acne and half of whom did not. They then used the lab to isolate over 1,000 strains of P. acnes before focusing on 66 of them and their associated genes. PLUS: Choosing the right skin cleansers. They found the bacteria were different if taken from someone with acne compared to someone with healthy skin. They identified strains that appeared in people with acne, but rarely in people without it. Then, they found a third strain common in healthy, clear skin—but almost never in acne-marked skin. Could it offer hope to those with acne? The researchers think that if we make creams rich in the “friendly” strains of P. acnes, it could calm someone’s acne outbreak. The researchers draw a comparison between P. acnes and probiotics, which protect our intestinal tract from harmful bacteria. Could this strain of bacteria protect the skin in a similar fashion? This is a remarkable comparison, as probiotics are well-known in medicine and represent some of the greatest discoveries in alternative medicine in the past 15 years. What we need now are studies to explore exactly how to eliminate bad strains of P. acnes, while leaving behind the ones that make our skin healthy. Or, can you imagine an easy skin test that could predict your risk of aggressive acne years down the road? It is a considerable breakthrough for a health condition that eight out of 10 people will experience in their lifetime. 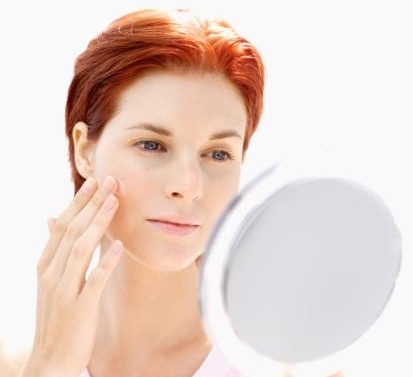 Despite the common nature of acne, its causes and treatments are frustratingly unclear. Let’s hope this is the start of a new future, one where acne fades into the background. Fitz-Gibbon, S., et al., “Propionibacterium acnes Strain Populations in the Human Skin Microbiome Associated with Acne,” Journal of Investigative Dermatology February 2013.